The VA selects CenTrak’s Clinical-Grade RTLS™ infrastructure in a $543 million federal contract to drive multiple equipment and clinical applications across all of its 152 medical centers and 1,400 ancillary clinics. (Newtown, PA – March 4, 2013) — CenTrak today announced the US Department of Veterans Affairs (VA) has chosen its active-RTLS infrastructure to location-enable all of the VA’s hospitals, clinics and consolidated mail outpatient pharmacies as a subcontractor to HP. CenTrak’s enterprise-wide RTLS infrastructure will automate the management of hundreds of thousands of mobile medical devices, impacting availability, utilization, shrinkage and patient safety. The Clinical-Grade Locating™ technology facilitates many workflow improvements including mobile medical equipment utilization, sterile processing efficiency, and monitoring temperature-sensitive consumables. Possible future RTLS applications could address patient wander prevention, hand hygiene compliance and high acuity (OR and ED) workflow. The VA has developed a reputation for setting important healthcare IT standards. The concept of Electronic Medical Records (EMR) was a direct result of the Veterans Health Information Systems and Technology Architecture (VistA). The VA developed the first automated data processing systems with extensive clinical and administrative capabilities. It later received the Computerworld Smithsonian Award for best use of Information Technology in Medicine. CenTrak seamlessly integrates with Cisco’s Mobility Services Engine (MSE) and Context Aware Services API to create a high performance real-time-location solution that leverages the Cisco Wi-Fi network. CenTrak is a “Registered Developer” in the Cisco Developer Network (CDN) Program and interoperates with various technologies in the Wireless Networking Group of Cisco Systems. “CenTrak’s ability to offer cost-effective, high-performance Clinical-Grade Locating using our Wi-Fi network architecture has greatly expanded the utility of our networks to many new clinical use-cases,” said Chris Spain, Vice President of Product Marketing for the Wireless Networking Group at Cisco. 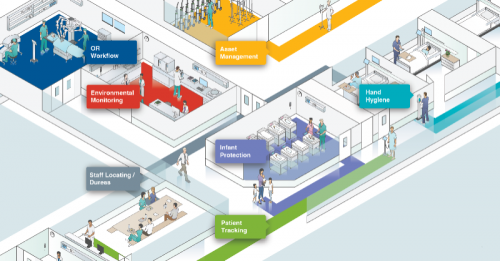 CenTrak’s Clinical-Grade RTLS™ will be featured at HIMSS13 in booth #4119.